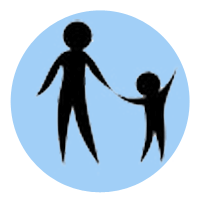 I know that parents are the key to healing the complex trauma and attachment disorders of their children. I believe in the ability of parents to become members of successful parenting teams. The Buttons program is designed to help parents stop the cycle of behavior/reaction from spinning once and for all. The program helps parents identify their buttons, exactly what pushes them, what they represent, and how to effectively change their reactions and regain their authority. Please note that e-mail is not secure. © Copyright 2018, Wendy Haus Hanevold Ph.D. All rights reserved.